Bursa is a city of greenery and art and nothing in the world seems more reflective of that aspect than this beautiful monument. The Green Mosque, with its unique architecture and design work stands out as one of the most charming attractions among tourists. Its interiors are adorned with magnificent turquoise tiles providing it its unique look. Visitors looking for quiet peaceful moments can walk through the mosque and marvel in the allure of this architectural gem. For historians interested in distinguished historical pieces, the place can be no less than a heaven. One must be decently dressed and cover their heads before entering the tomb. Weekends have more crowd. Weekdays are better for visits. Open all days of the week excluding prayer time. Evening hours are also suitable for visits. 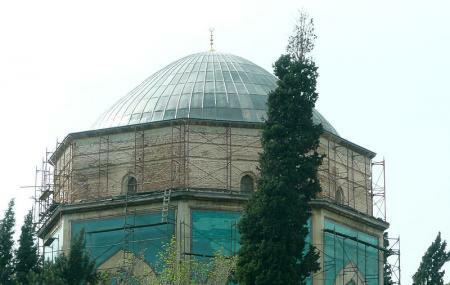 How popular is Yesil Cami? People normally club together Bursa Teleferik and Cumalikizik while planning their visit to Yesil Cami.